When it comes to park-progression and all-mountain efficiency, the Rossignol Tesla Snowboard is the freestyle focused board of choice. A true-twin profile with a moderate yet buttery flex, the Tesla has enough power and snap to confidently pop off jumps and press any box in your path. 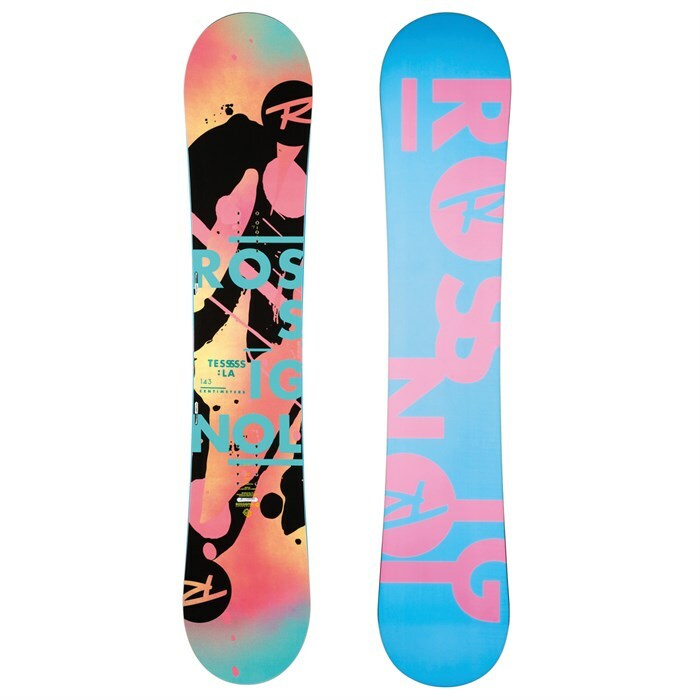 Charged up with a forgiving Amptek Auto Turn Rocker profile, the Rossignol Tesla Snowboard gives you the no-catch control you need to set your spins and the stability you need to navigate all that the resort has to offer. Amptek Auto Turn Rocker  Rossignol's three patented blends of rocker and camber are each tailored to a specific riding style and intensity level. Featuring a softer flex profile from top to tail, Amptek Auto Turn has an 80/20, rocker/camber blend for effortless turn initiation and an easy playful ride. Flex Rating: 5 (1 Soft - 9 Stiff)  Rossignol snowboard FLEX rating range from softest (1) to stiffest (9) so you can select the best flex pattern for your skill and riding style. Softer boards are easier to manipulate, stiffer boards offer more power and stability. True Twin  Perfectly symmetrical snowboard with an even flex pattern. True twins make for a versatile ride that is just as maneuverable and stable when riding switch so it's great for freestyle. Wood (3510 - 5620 - 6420)  Rossignol's standard wood core features a single type of wood vertically laminated to give you durability and comfort without breaking the bank. Glass Fiber  Has greater elongation before break than carbon and comes in multiple weights and weavings, making it Rossginol's #1 choice for customized flex and torsional resistance. Glass fiber also stabilizes the mechanical properties of wood cores over time. ABS Sidewall  Offered as walls or built in cores, ABS provides enhanced durability while keeping the core safe from moisture.